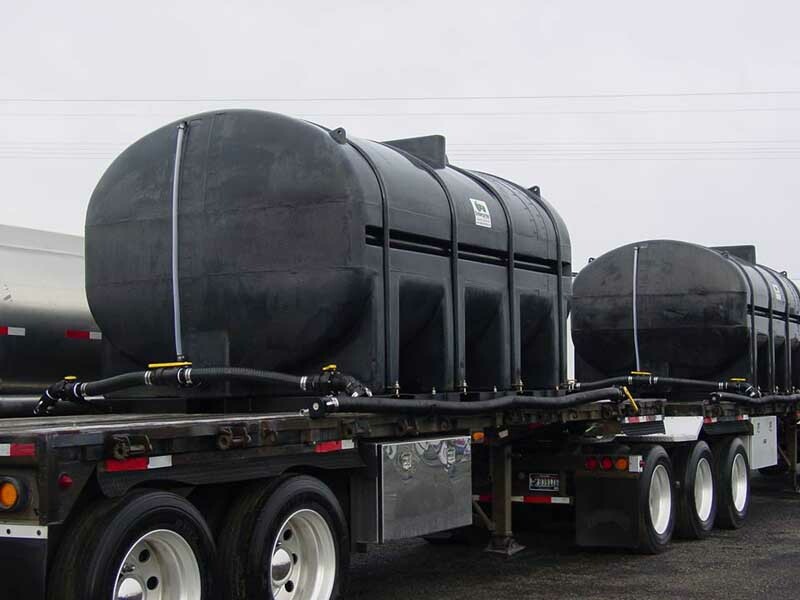 A customer came in and instead of buying a big stainless steel tank trailer decided to have us mount these two 3,250 gallon tanks on his aluminum flat deck trailers he purchased. 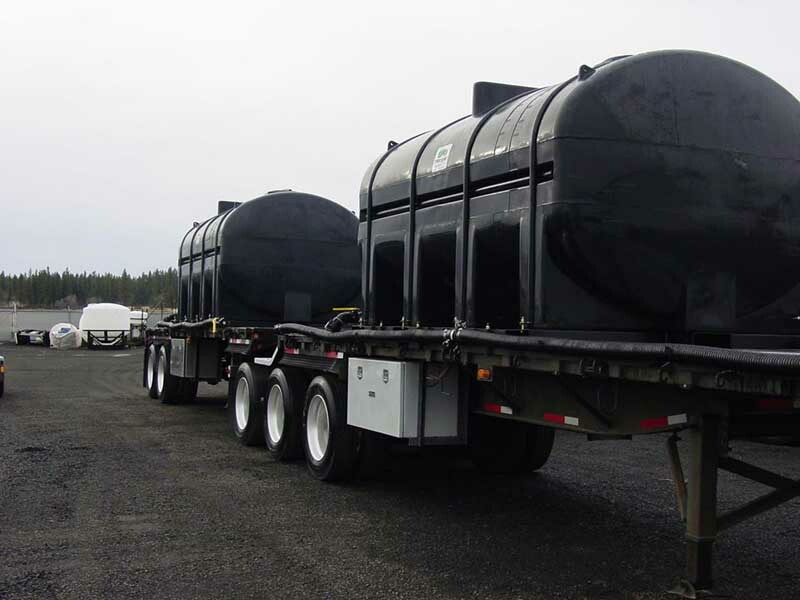 These trailers haul lumber when not hauling fertilizer so the tank frames had to be removable. 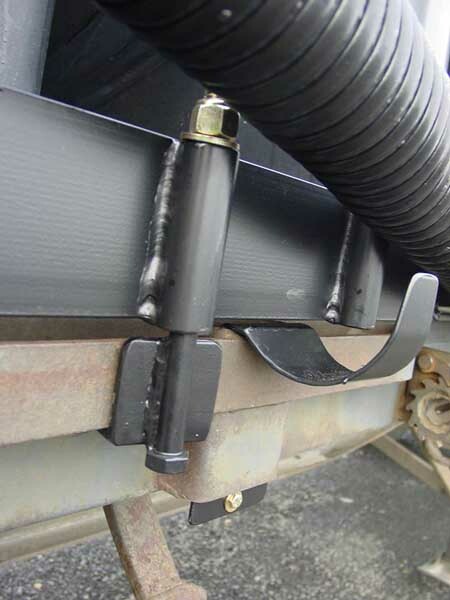 Custom hold down clamps were fabricated with multiple mounting locations so the tanks can be moved if the weight is not positioned properly. Sight tubes were installed for clear view of how much product is left in the tank. Banjo valves were mounted on both sides of the tank so that it can be loaded/unloaded from either side. Two 3” poly Banjo transfer pumps were mounted to 6.5 hp Honda engines. Custom hose hangers were made for the 45’ of 3” fill hoses, they were cut and bent out of single pieces of 10ga mild steel. All the work was done in house here in the fabrication shop at Ag Enterprise Supply, Inc. 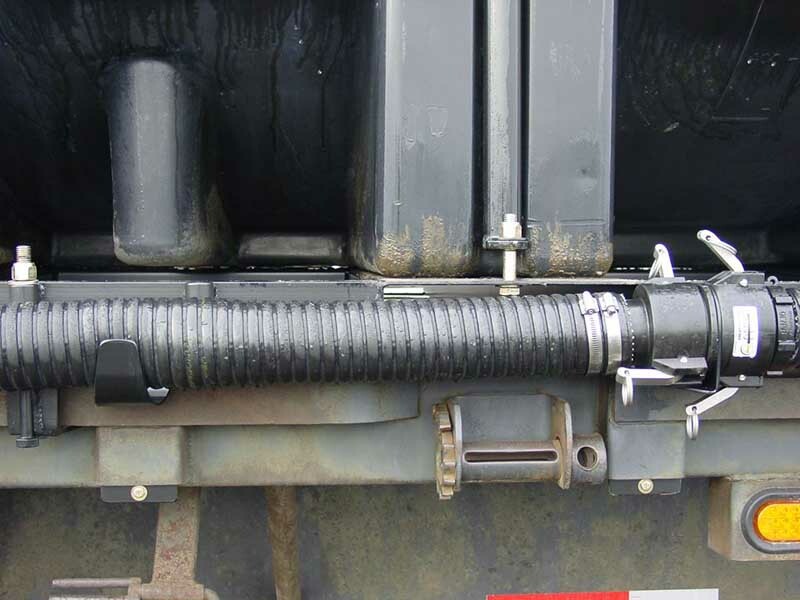 Banjo camlock caps and plugs were modified to secure the fill hoses to the trailer. Another nicely engineered and executed project goes out of the shop doors once again. 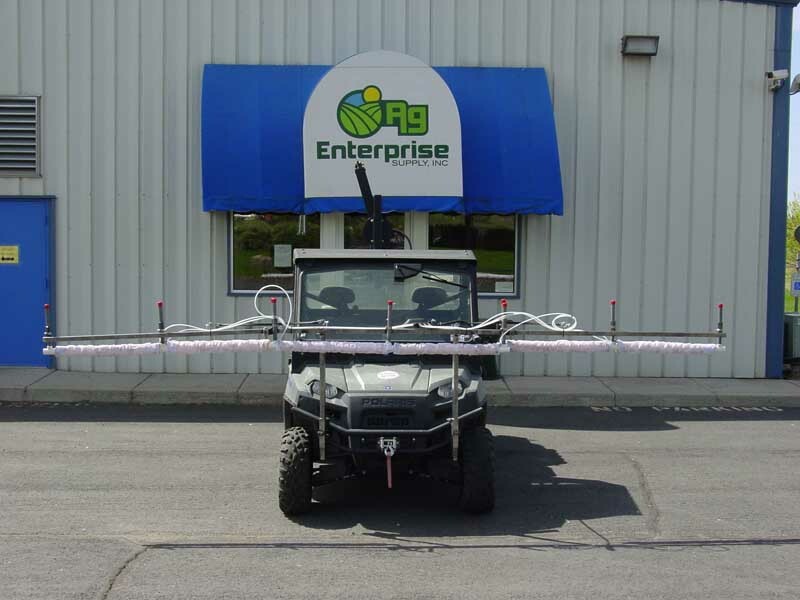 The newest product development out of the Ag Enterprise Supply, Inc. parts division is a UTV mounted weed wiper. 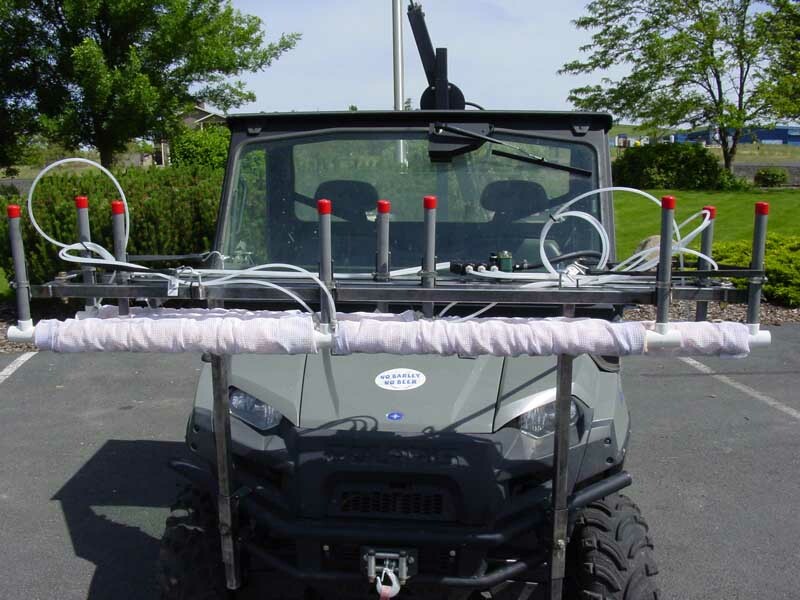 A 15’ Smuckers sponge kit was adapted to a custom foldable frame that mounts to the front of this Polaris Ranger. Height adjustable up to 5’, this particular one was built with Rye in mind. 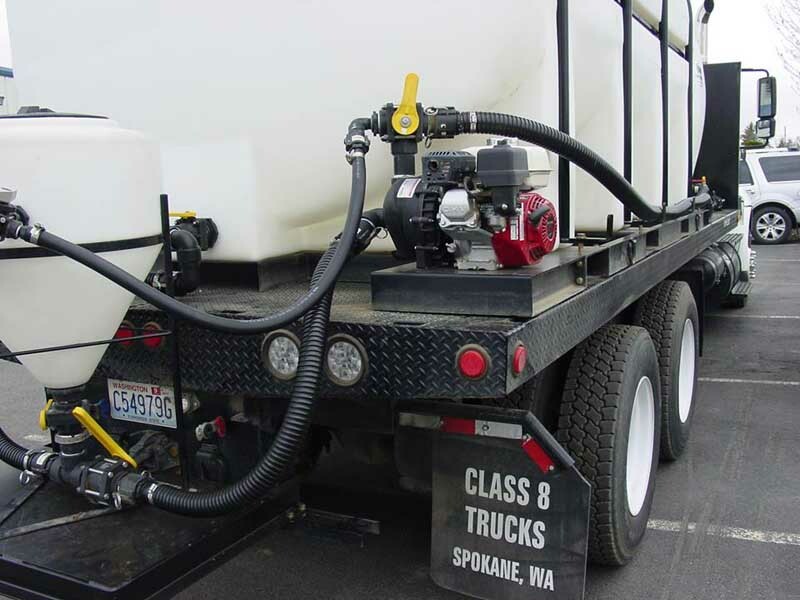 The customer already has one of our 50 gallon UTV sprayers and the supply hose will connect to the outlet of the pump eliminating the need to buy a separate sprayer. 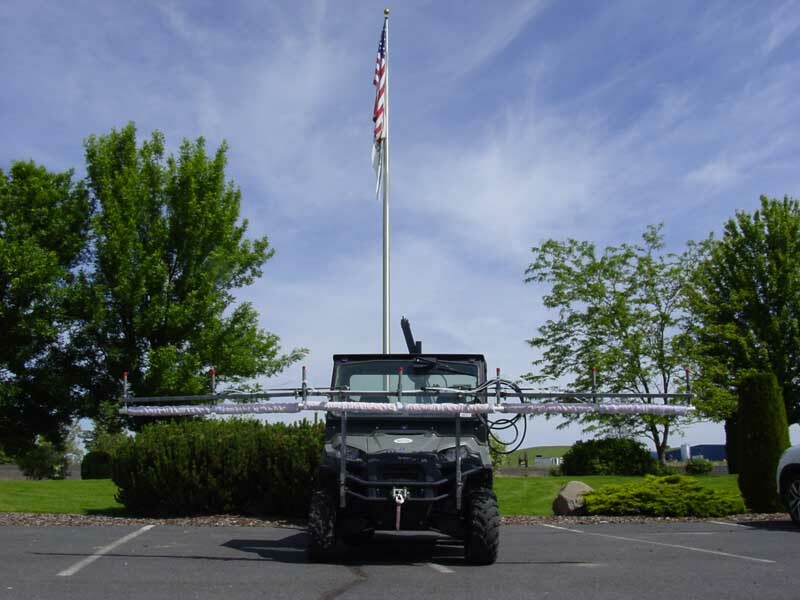 The factory option was not ideal in that the booms would not fold up tightly and there was concern with bouncing through the fields that they would break. With a year like this year you need to be ready to spray at a moment’s notice and do it effectively and efficiently. 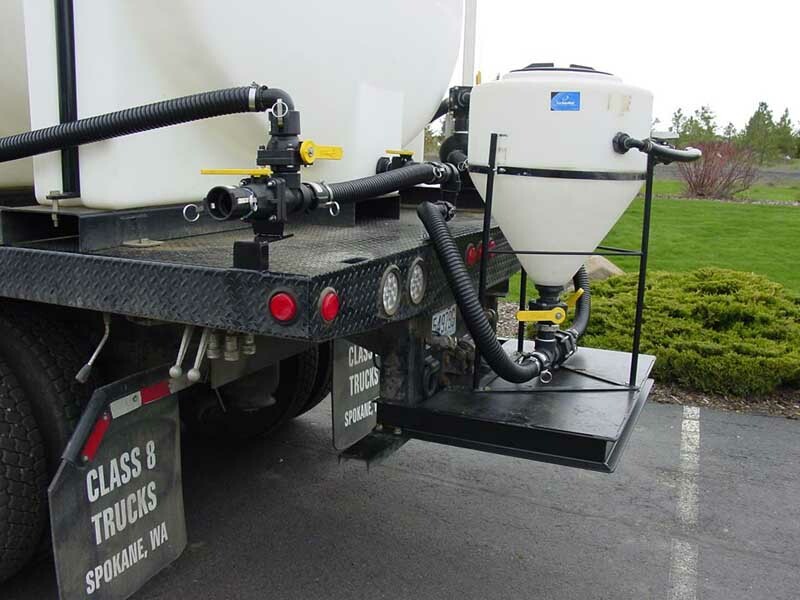 To help with that we built this spray truck for one of our customers. 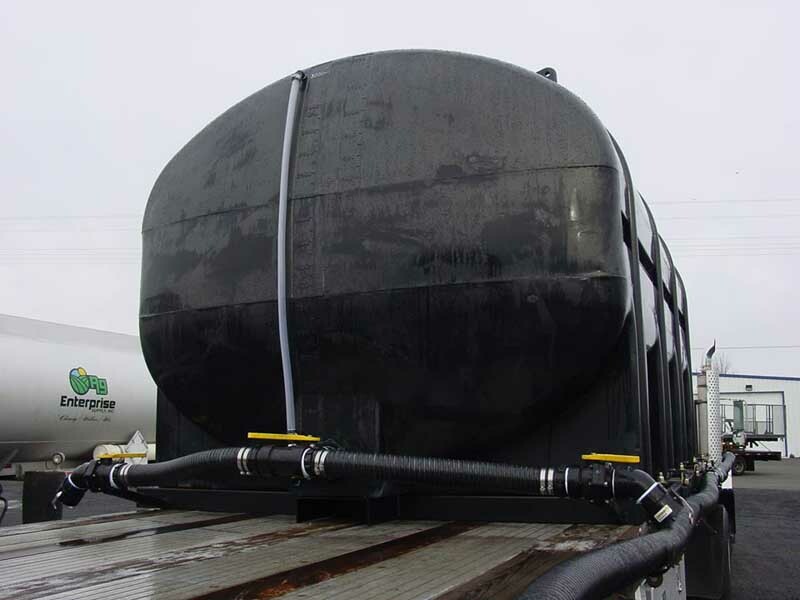 There is a 925 gallon tank on the front and a 3,250 gallon tank on the rear. 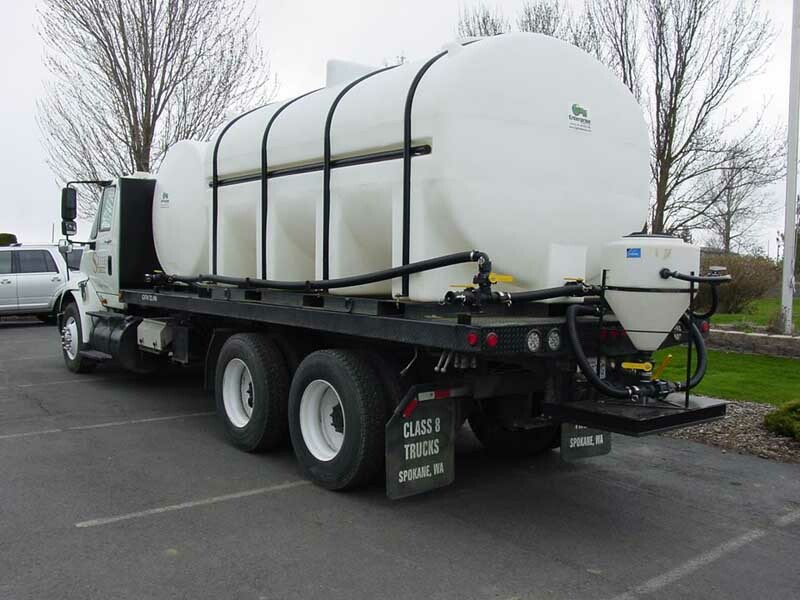 The 925 is removable to allow room for shuttles and 30 gallon drums as well as 2 ½ gallon jugs to be carried. A 30 gallon induction tank was installed on the back for ease of mixing. 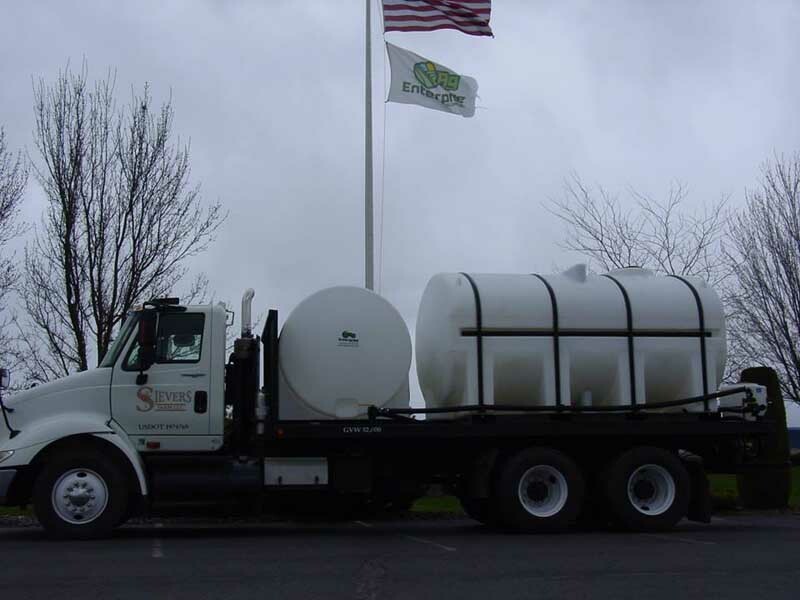 The chemical is dumped or pumped in and the main pump is turned on and it is taken in the main carrier stream into the sprayer. A rinse nozzle inside aids in full transfer of the product. 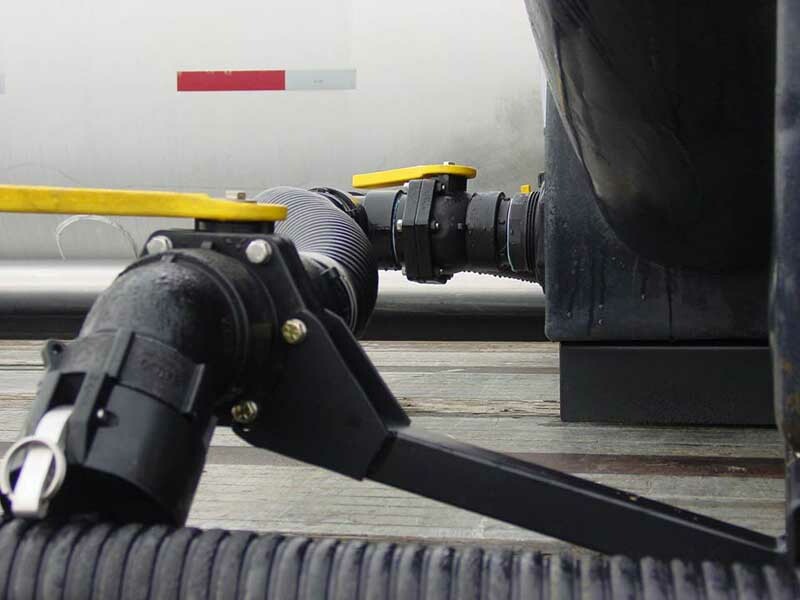 A fill valve can divert between the two tanks from a single location and a 25’ fill hose with a valve on the end gives plenty of reach and keeps the hose from emptying on the ground. A good build ready to go to work.